A BMT (bone marrow transplant) is also known as stem cell transplant. It is a procedure to replace damaged or destroyed bone marrow with healthy bone marrow stem cells. It is required is patients whose bone marrow has stopped functioning properly and has stopped developing enough red blood cells, white blood cells or platelets. This can be due to various reasons such as diseases like anemia, leukemia etc. or when the bone marrow has been damaged due to high radiation therapies like chemo therapy. Bone marrow transplant is a highly risky procedure which requires expertise. Bone marrow can be transplanted from either umbilical cord stem cells or stem cells from siblings or from any external donor. Bone marrow matching tests are done only through blood tests. Cost: India has successfully developed its medical competencies in bone marrow treatments and transplants. India is not only serving domestic patients but also foreign patients. International patients come down to India as the cost of bone marrow transplant in India is way too less in comparison to other countries. Since 1983, bone marrow transplants hospitals in India have grown, though slowly but steadily. 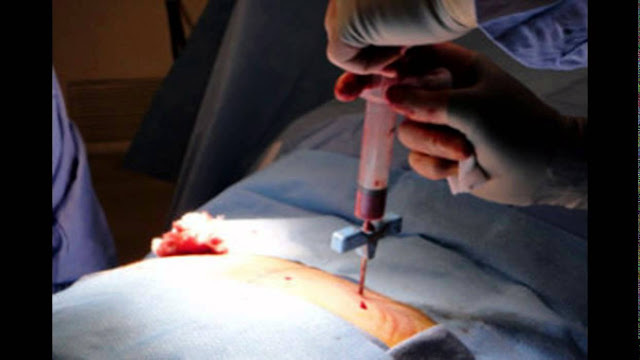 Bone marrow transplants are really costly procedures and even insurance companies and even health maintenance organizations do not cover the costs of this disease. Success Rate: BMT provides an 80% - 90% probability of cure, with 5% mortality rate and 10% chance of rejection as per medical practitioners in India. India has a well reputed team of doctors who are well performing in Bone marrow transplant. Various Indian hospitals have been recognized and awarded around the world for dealing with critical cases of blood cancer and other diseases damaging the bone marrow. Due to high success rates of Bone marrow transplant, India and Indian practitioners have now become a preferred choice of foreign patients. Bone Banks: In many hospitals special bone marrow banks have been made and awareness for stem cell donation is being provided. Many government camps are being started to make people aware about donating stem cells. While many private banks have started providing parents-to-be, the facility of securing the stem cells for their family and their children for future. The stem cells donated by people can be preserved for around three years. Even government has started providing funds to government hospitals to procure the equipment to store and preserve the sterile stem cells. While in foreign countries bone marrow transplants are very expensive, Indian doctors and medical practitioners are working hard on reducing and cutting the cost of BMT. Various hospitals are working in this field in last few years. Some while are providing free bone marrow transplants for a certain period of time, while some have started providing free treatments for diseases like thalassemia. Bone marrow transplant cost in India has seen a great drop in last few years and all due to the immense efforts of the practitioners in this field and also government efforts. With such expertise medical professionals and practitioners and low cost treatment and transplant of bone marrow disorders, India has slowly become an attraction for bone marrow patients in other countries. Poor patients of India are now being provided help by government and government hospitals of financial help and support and even free tests and check-up. Totally agree with all above points which are mentioned above. Great article, and some good comments too. I enjoyed the way you describe over here and it's really very much useful and excellent commentary. Such great information to be healthy and fit. I like this post and bookmark for future use.